I have extremely frizzy hair which always needs to be blow dried or styled in order to look presentable, which is why I often have my hair up in a messy bun. It might not seem like it, but it can be very hard to manage. 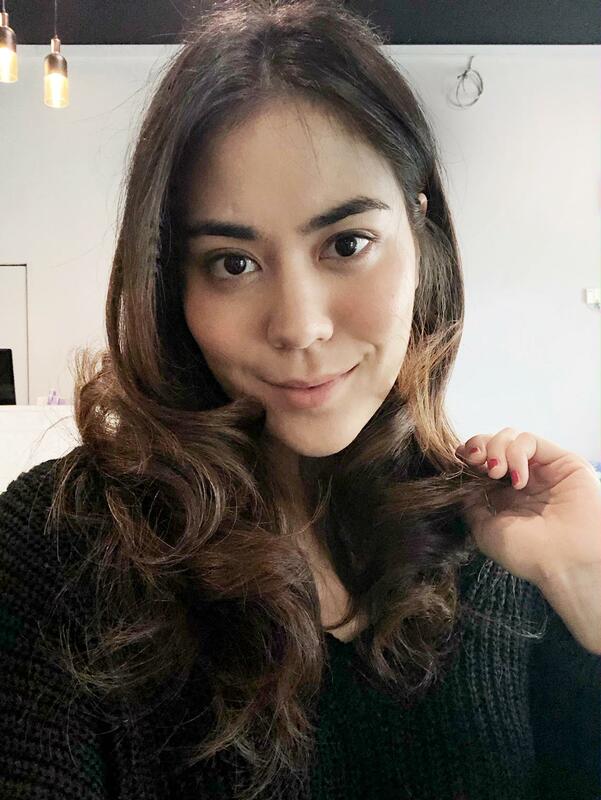 I had a meeting in Cyberjaya last week and thought I’d get my hair styled before my meeting because I was feeling quite lazy to do it myself and I figured I’d treat myself to a nice salon hair wash. I like the kind of hair wash where you get a head massage which sends you halfway up to heaven. The thing is, you never know if it’s going to be a good one or not, so it’s always a gamble. 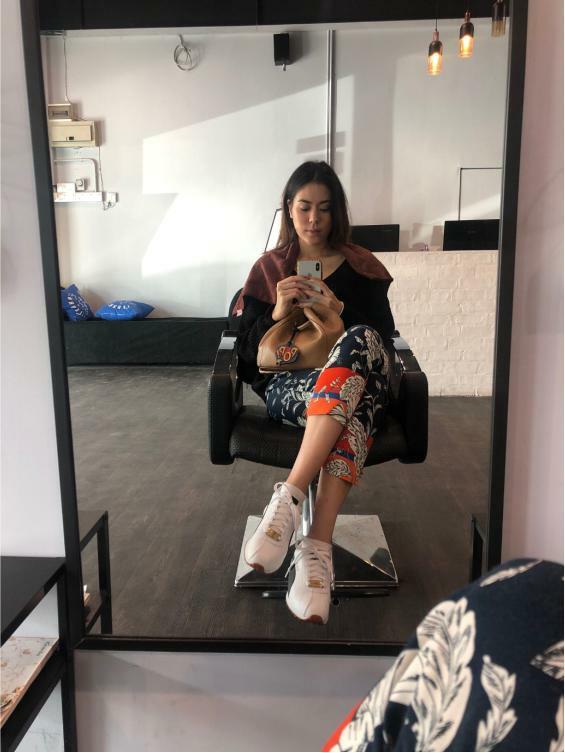 I looked through the Tapay app on my way and found V Style Hair Salon. I decided to give it a try seeing as it wasn’t too far from our office. I dropped in and requested for a basic wash + blow. 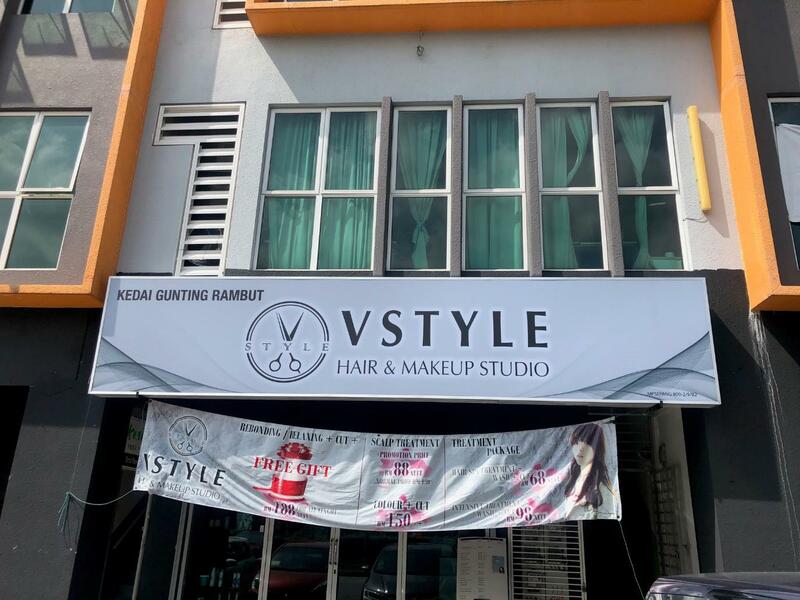 V Style is located at Glomac Cyberjaya. I was there around noon on a Friday and found that there was ample parking around the area. Before my wash + blow. Lucky for me, Vstyle really nailed the head massage and styling that day. I opted for soft curls and I was very pleased with how it turned out! I couldn’t have done a better job myself. 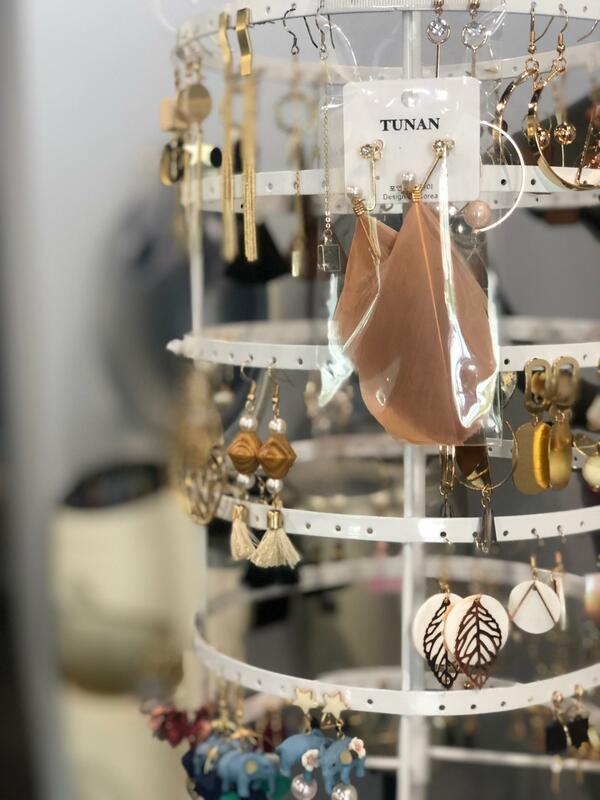 As I was paying at the counter I also noticed that they were selling really cute earrings at affordable prices. I had to hold myself back from buying a few pairs as I have too many as it is but they were really hard to resist! 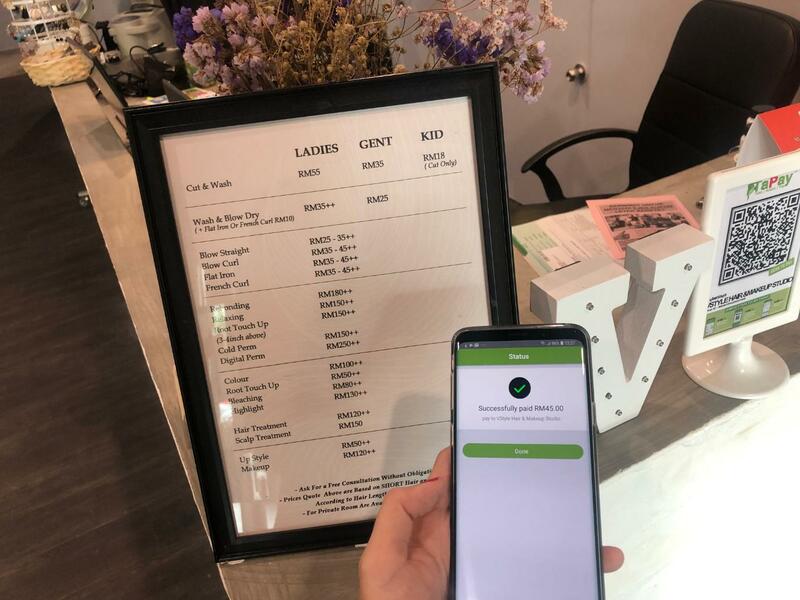 Payment made easy with TaPay at Vstyle. 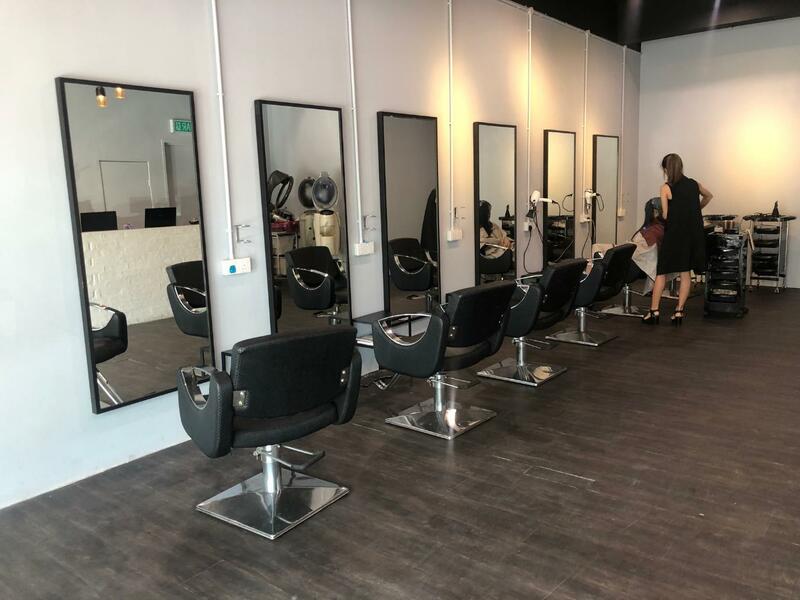 The interior of Vstyle Hair and Makeup Studio. 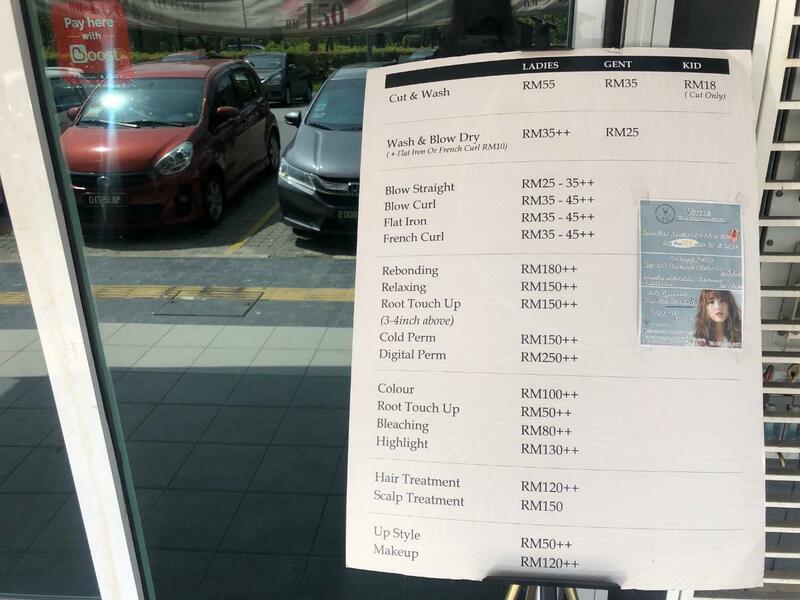 The list of services and prices at Vstyle.